The Asian Human Rights Commission (AHRC) has received information regarding a multi- state child sale racket from its partner organization, Aawaj, working in Madhya Pradesh for child rights. Aawaj members played a crucial role in uncovering the racket by acting as decoy customers, and working with the police. In a strange twist however, authorities then handed over the sold children for foster care back to the same families who had bought them, in the name of good bonding. The AHRC strongly condemns such an ill thought decision, and demands proper foster care for the children. An effective and timely investigation into the case must also be undertaken, and those found guilty must be prosecuted. A young student informed the members of Aawaj, a partner organization of the AHRC, about a child sale racket run by one Shailendra Rathore during one of their awareness campaigns. Aawaj found the information reliable after scrutiny and informed the police, with whom it was already working on the issue of child trafficking. The Alirajpur Police, led by Superintendent of Police Shri Vipul Srivastava and Additional Superintendent of Police Seema Alawa, extended all support to the team and started working on busting the racket. They advised Mr. Prashant Kumar Dubey, a leading activist of Aawaj, to get a new sim card and convince the accused to sell a child to him as a decoy customer. Mr. Dubey pursued the conversation for almost four months, before being able to convince him for the sale. The team used to record everything to ensure that they did not change any detail inadvertently to arouse suspicion. Once convinced, the accused asked Mr. Dubey to choose the age of the child to be sold, ranging from 3 days to 3 years. They finally agreed upon a little older child, settling on the price of Rs 1,70,000 from the initial Rs 2,20,000. The accused also agreed to give the child’s birth certificate to Mr. Dubey, hinting at the involvement of local authorities in the racket, especially the health department and the civic administration. He then started sending Mr. Dubey pictures of the children on WhatsApp, showing the kind of impunity he enjoyed. Finally, the deal was done for 11 November 2018. The police then deployed newly appointed Sub Inspector Chanchala Soni to act as Mr. Dubey’s wife. 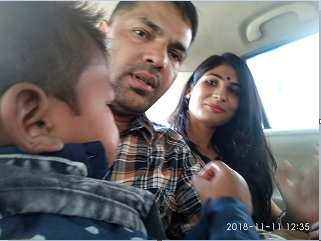 They then went to Alirajpur from Indore and ‘bought’ the child with currency notes whose numbers were noted down and some even signed by the police for evidence. Immediately after the sale, and on the signal of the duo, the police raided the houses and arrested the accused and his four accomplices, including a minor girl and filed the First Information Report. Later investigations revealed that the child sale racket was occurring interstate, with one doctor A Raju, the owner of Kesar Hospital in Chhota Udepur of neighboring Gujarat state being the kingpin of getting the children to sell, while Mr. Rathore arranged the customers. By now, the police have arrested a total 28 persons, including one doctor, four hospital staff and some of the male customers. Yet, in a strange twist and travesty of justice afterwards, the Child Welfare Committee (CWC) of District Alirajpur, the nodal agency for the protection and welfare of children handed over many of the children to the very same families that have bought them. The logic that the CWC gave for its order on “Foster Care” under Section 44 of the Juvenile Justice (Care and Protection of Children) Act, 2015, (hereafter JJ Act) on 19 November 2018, was that the children had bonded well with the families. In the case of 12-month-old Kunjan for instance, the girl was given into illegal adoption and a criminal case registered at Kotwali Police Station, District Alirajpur, bearing F.I.R. Number 389/ 2018, dated 17 November 2018, under Section 363/370/34/120B IPC and Section 81 JJ Act with Pushpendra Wani being one of the main accused. The CWC ignored this completely, and gave Kunjan back to Jaibal Wani, wife of Mr Pushpendra Wani. By doing so, the CWC has not only erred in its thinking that the child’s best interest lies with the family accused in a criminal case of buying her, but the CWC has also flouted many provisions of the JJ Act. For example, Rule 23(9) makes it mandatory that the CWC shall obtain a Home Study Report of the foster family through the District Child Protection Unit in Form 30 before placing the child in foster care. The CWC did not call for any Home Study report in this case. Further, the JJ Act requires that children below the age group of 6 should be prioritized for being placed into adoption. Yet, the CWC handed over the child victims under 6 for foster care to the family of accused itself. Moreover, the CWC did all this without seeking the view of the State Government or the District Child Protection Unit. It is in this context that Aawaj has challenged the order in the court of the District Collector And Appellant Authority, as well as appealed against the same with the National Commission for Protection of Child Rights (NCPCR). The NCPCR has already ordered an inquiry into the case. Child trafficking is a serious problem in India, with Gujarat and Madhya Pradesh being the hotbed of the problem. The government of India recently admitted in the Lok Sabha, the lower house of its parliament, that over 1.9 lakh (or 1,90,000) children went missing in the country in the last three years alone- from 2 June 2015, to 21 December 2018. It also admitted that out of the total of 1,91,679 children gone missing, the highest number of children was from Gujarat at 37,063, followed by Madhya Pradesh at 32,925, and then West Bengal at 25,275. The AHRC calls for quick and stringent action by the Government of India as well as the State Government of Madhya Pradesh for rehabilitating the children and prosecuting those involved in trafficking. The AHRC is writing a separate letter to the Special Rapporteur on trafficking in persons, especially women and children.